Today we have a quick and easy activity to try. Drawing on Easter eggs. My son loves to draw and I am happy to provide materials that he would like to try. We thought we would give drawing on Easter eggs a try. We had a lot of fun and got a little messy as well. But it washed off easily and it was nice to sit down and draw together. I love to try new & easy activities for boys, don’t you? I hope you will enjoy having a go. 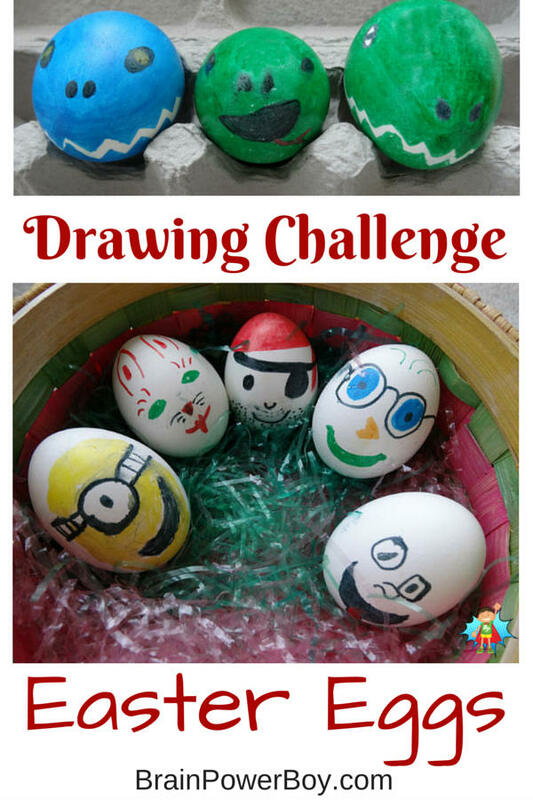 Challenge your kids to draw on Easter eggs. Drawing on paper is one thing, taking those drawings onto Easter eggs is yet another. It is really interesting to draw on eggs as you need to think about the whole egg, not just a flat surface. We decided to use markers for this project. 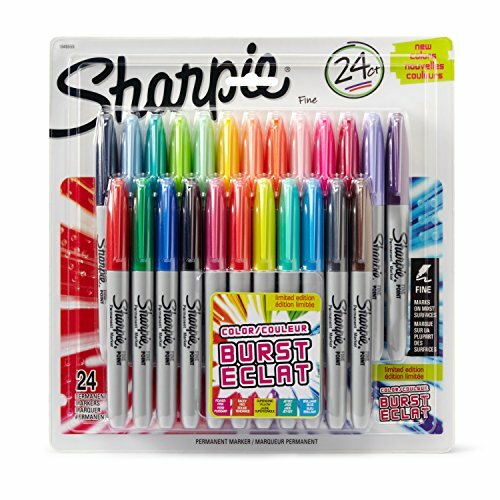 You can use Sharpie markers (we like this set) or washable markers. The Sharpies worked very well but we were concerned about how hard it was going to be to get the marker off our hands. 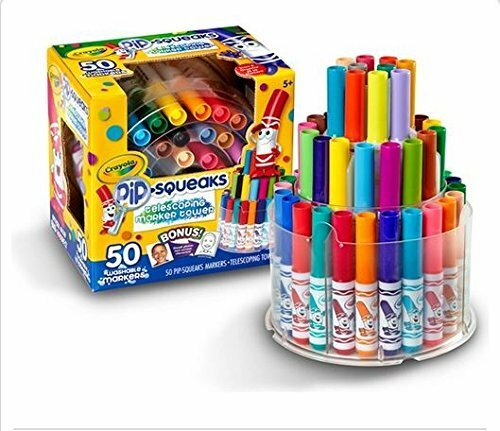 We switched to washable markers called Pip-squeaks which we love for their small size and vibrant colors. These worked great but they do need time to dry. Even after sitting for 24 hours we still get a bit of color when touching them. No big deal as they are for decoration but I thought I would mention it. 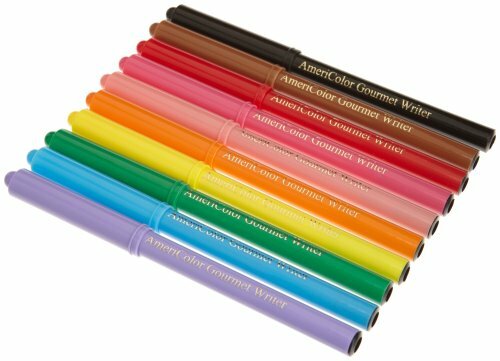 This set of markers has come in handy for so many projects! If you would rather use hard boiled eggs, which can take more pressure and would be better for younger artists, you could perhaps try food safe markers instead of regular markers. 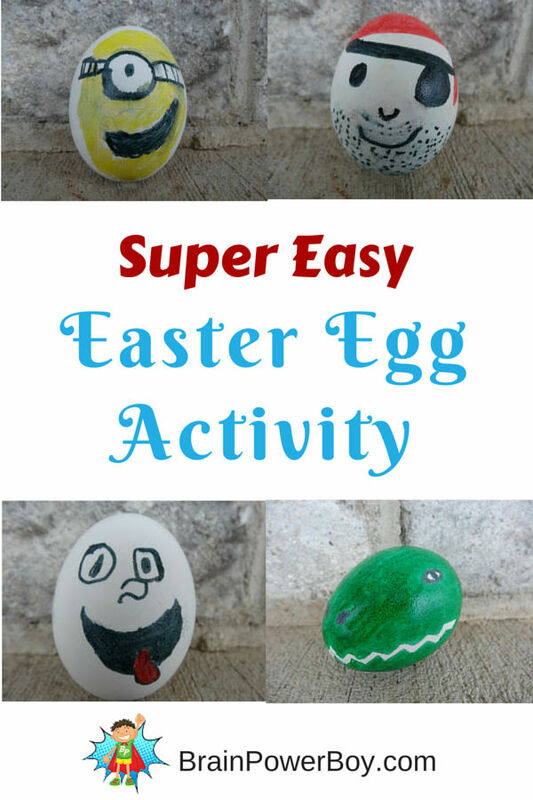 Test your markers to see if they draw nicely on the egg. Do light colors first and then add in dark accents or lines to prevent smearing. Be prepared to get marker on your fingers. Try coloring just a section of an egg like my son did with his Minion Easter Egg. It is much faster than coloring the whole egg. What I love about this activity is that they can draw anything they like. Into pirates? Try our little pirate egg (it is one of our favorites.) Like Minions? Draw one like my son did. It is easy to do. He also did a snake. Love dinosaurs, race cars, comics, silly faces . . . make whatever you want. Drawing on Easter Eggs is fun. We will be doing this again next year! Easter LEGO Designs which includes an Easter chick and bunny mosaic and a 3D Easter Rabbit with basket. Easter Eggs for Boys to Make–a bunch of fun Easter egg designs to try including LEGO, Minions, TMNT, Super Mario Bros and more. If you are looking for some things to put in your boy’s Easter basket so it isn’t all full of candy try Easter Basket Gift Ideas for Boys. Thank you for reading! I hope you will try this drawing on Easter eggs drawing challenge. Does your boy like to draw? Such a fun idea! My kids are still a little young for this, but I know cousins that will LOVE it. Thanks for the activity! Hope the cousins have fun Marie! That looks like so much fun! I LOVE the dinosaur head! I’m pinning this one to my Easter board.